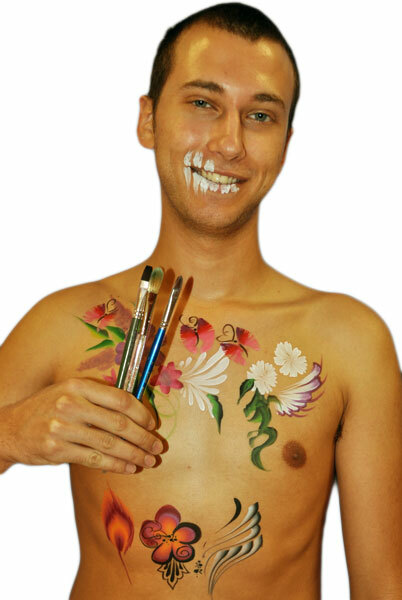 This entry was posted in Marketing & Business Tips, Videos & Tutorials and tagged Body Art, brush techniques, Brush Tutorial, chisel brush, Face Painting, face painting brushes, face painting tutorial, face painting video, round brush. Bookmark the permalink. Great quick vid on basic brushes and strokes! This would be a great one to do on FABAtv and add onto, make more elaborate. I think everyone from beginners to advanced artists could benefit from it. I’ve been painting my whole life – and I have all these brush styles and more – and consider myself skilled. BUT I still learned something new – your peacock feather! Super quick and easy.